Improve your integral values using the new integration method (Edited Sum). Take advantage of displaying your spectra by peak type. i.e. 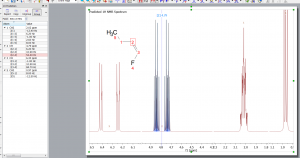 compound peaks only or ‘solvent+ impurity’ peaks only. Visualize HMBC, ROESY and NOESY´s connectivities in the molecule structure and use expandable labels. To be able to show the indirect FID after having applied a LP (e.g.) in t1. Capability to display spectra by peak type. Improvements in crosshairs and Info View. 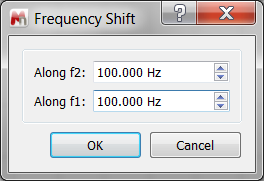 Frequency shift in f1 and f2. 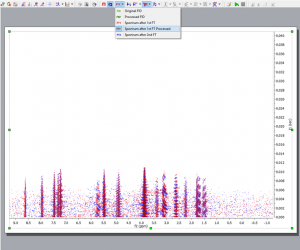 Data Analysis for Time-Domain studies. 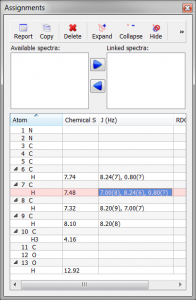 Handling of coupling constants in the table of assignments. Importing J couplings from SDfiles. Use filename as title in Oxford Instruments files. Edited Sum integration method. A new integration method, “Edited Sum” has been implemented, where the values from Sum method are corrected using a correction factor: Sum(Ps_i)/Sum(P_i). “Ps_i” are the selected peaks (by default, including Compound peaks and excluding Hidden, C13_Sat and Rotational); “P_i” are all peaks in the integration range. Int (Edited Sum) = Int (Sum)* (Sum(Ps_i)/Sum(P_i)) Data Analysis for Time-Domain studies This feature will be used for the processing and analysis of low-field, time domain data acquired in Oxford Instruments. 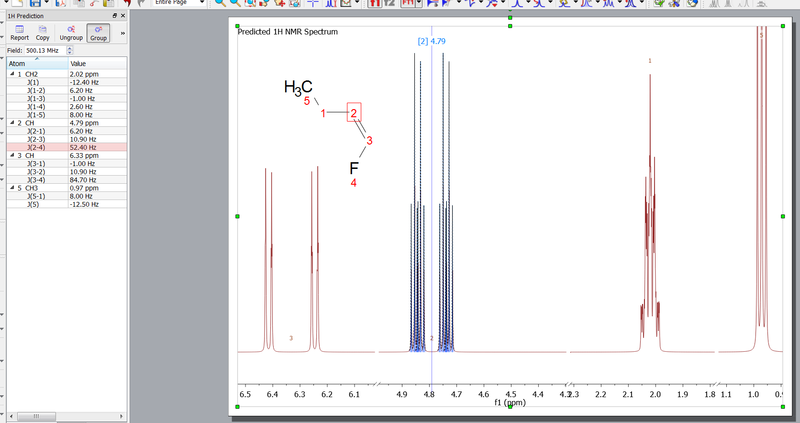 Capability to display spectra by peak type. 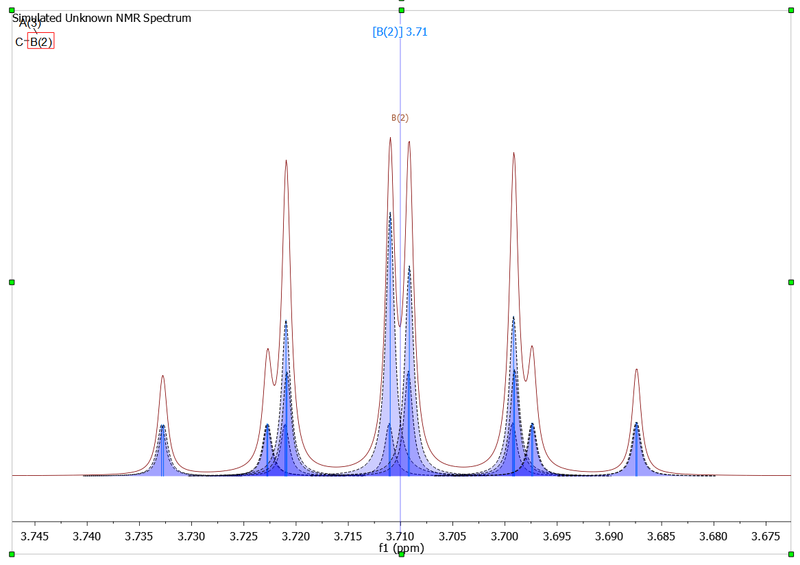 It will be possible to display the spectra with ‘All Peaks’ (default view), only with ‘compound peaks’, only with ‘solvent+impurity’ peaks and also to generate a stack plot with the different views. Ability to show the indirect FID after having applied a LP (e.g.) in t1. Currently you can display the processed fid before the second FT (in t1), under the option “Spectrum after 1st FT Processed”. The couplings will be added by pairs, in the same way as in the correlations columns, i.e., when the J(2-3) is created, the coupling J(3-2) is also automatically added, with the same value. The table will give priority to the homonuclear couplings. Thus, when the user writes in a H row the atom number (without specify a proton), the coupling will be done between the protons. To add a coupling H-C, the user will have to write the atom symbol, for example, “C”. The same for the cases in which the user writes in a C row, the coupling will be done between the carbons, by default. In the case of CH2 with no equivalent protons: the user should type the correct proton notation in the coupling. If we want to add a coupling with the first proton of 13CH2, and the notation is cis/trans, the text should be “1.20(13cis)”. If we type “1.20(13′)”, we will get a message saying “the atom 13′ doesn’t exist in the molecule”. Importing J couplings from SDfiles Improvements in PCA. Ability to export the tables as CSV. Normalization step has to be introduced into the main PCA menu. New option to change the color of the spectrum based on the value of the loading value. Enhancements in zoom cursor. The zoom cursor shows information about the position (same units as in spectrum scales). 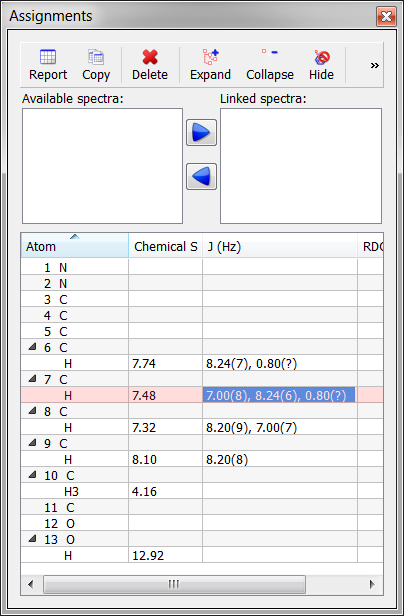 Once the starting position is selected, only the values for the ending position (f1, f2 or both dimensions, depending on the type of the zoom applied) are displayed. This new feature can be toggled from the preferences. Improvements in crosshairs and Info View. When activating the crosshair tool, the Cursor Info panel gets displayed automaticaly. in any other mode (like manual peak picking, integration, multiplet analysis, zoom, reference, assignment…) the information about the cursor position of the cursor is appearing attached to the cursor. If the Cursor Info panel is displayed, the information is also shown there. A button to copy the info from Cursor Info panel was added. 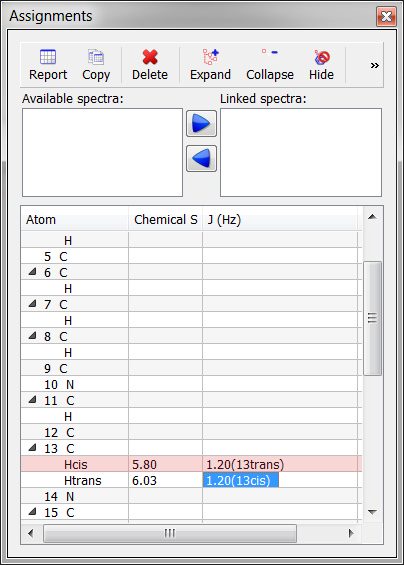 in a page with multiple spectra, it is not necessary to select one spectrum to make the crosshair work. Small Improvements in SpinSimulation. 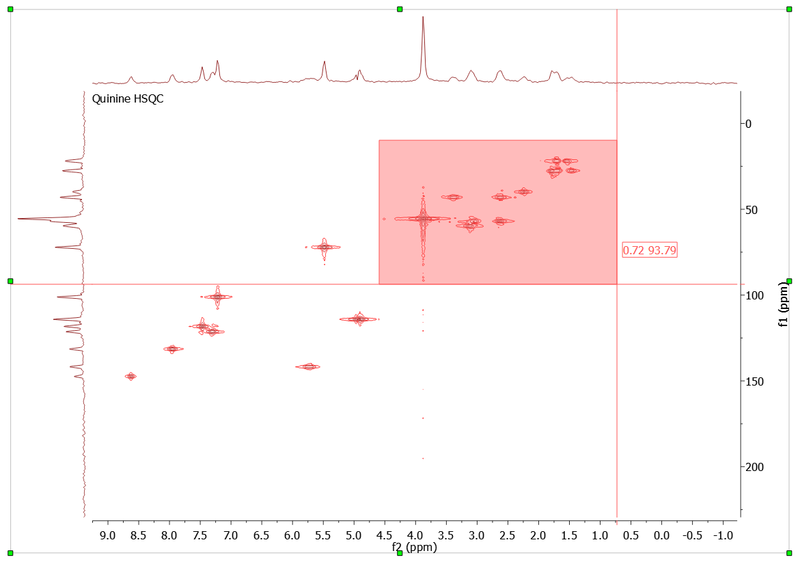 The simulated spectra are generated by default with 64K spectral size and -2 to 14 ppm range. 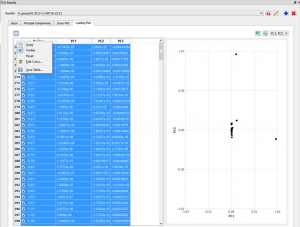 Avoid duplicated labels in a Simulation when editing the group labels. Show transitions like GSD peaks instead of sticks in the simulated spectra. 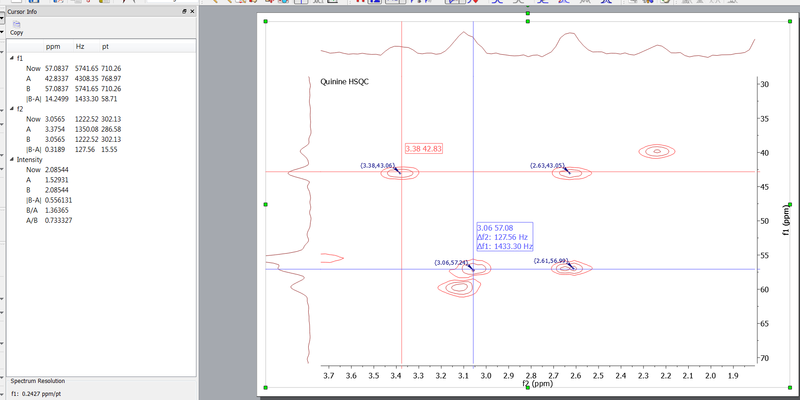 Use filename as title in Oxford Instruments files Export to JCAMP-DX only the real part of spectra. Peak selection had problems on solvents. Multiplet integrals were always calculated using Peaks method. Problems moving peaks when a predicted spectrum was stacked to another page. 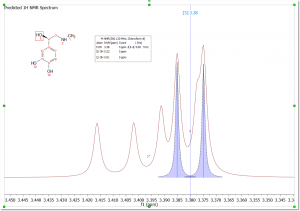 Problems highlighting a simulated spectrum. Problems displaying DOSY peaks in Peaks Table. Hide NUS option for normal 2D spectra. Apodization function should adapt to the usage of forward linear prediction. 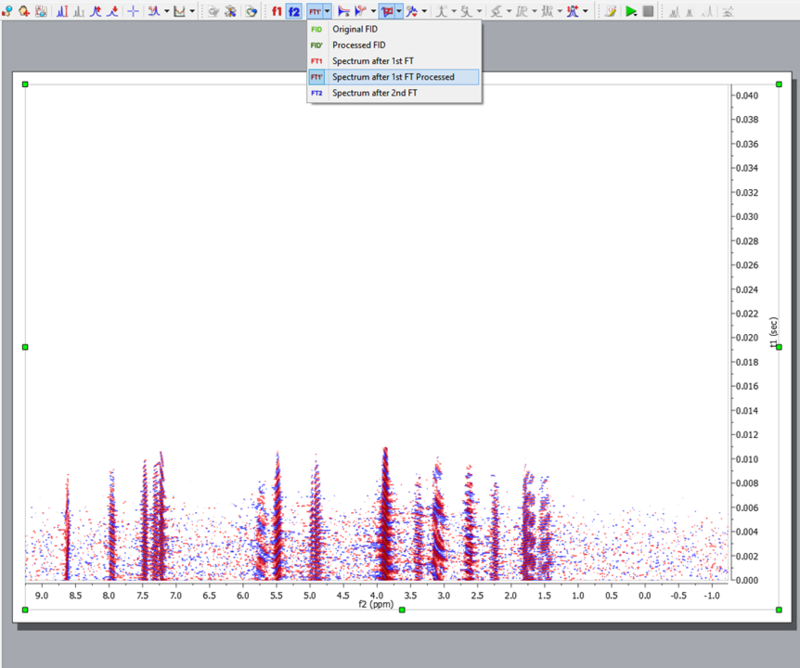 Wrong highlighting on the transitions in the stacked spectra. 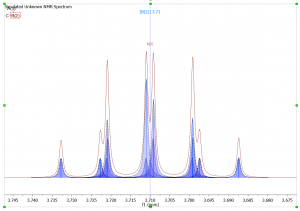 Varian HSQC not processed correctly – Apodization functions were not right. Wrong couplings when the atom number was changed. Assignments Table: problems in the coupling columns delegate. 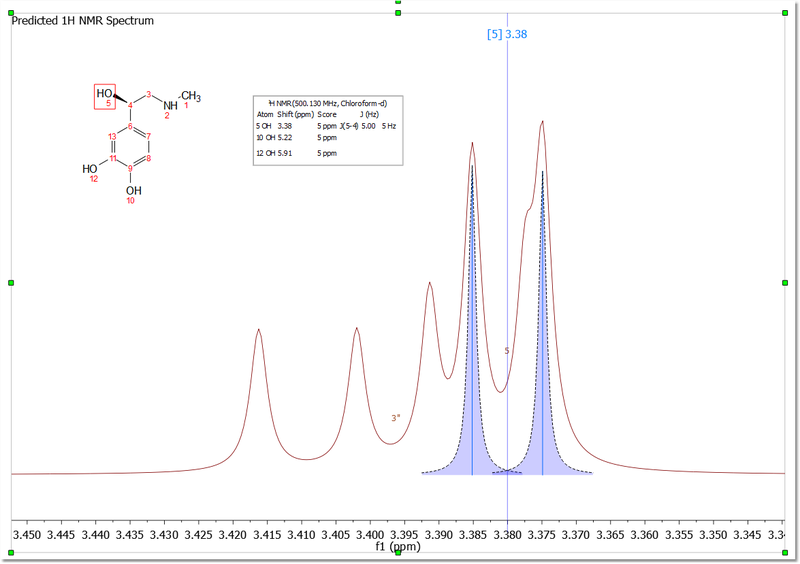 Not possible to show the assignments of one of the molecules (after having edited the copy of the original molecule). Adjust apodization function to the desired linear predicted points. MS verification retention time brackets did not work as intended. After verification 1H Prediction table and Spin Simulation panel didn’t get populated. Problems when launching Spin Simulation. Problems in a Spin Simulation with a label ‘1A’. Data in Prediction Table was not added to the Spin Simulation table. Problems in the prediction tables. Data lost in Spin Simulation. 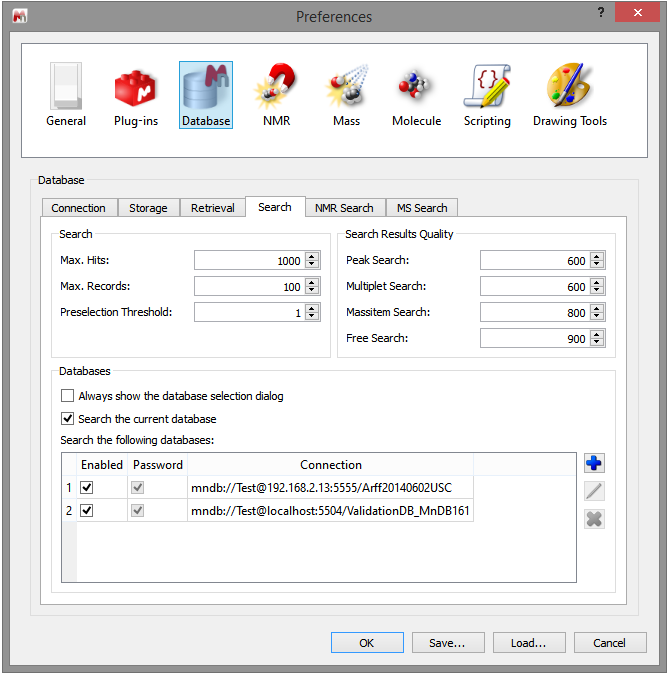 Ability to search databases on several servers. Spectrum purity database definition has been added. Ability to sort on columns in Table view of DB browser. Spectrum purity database definition has been added. Ability to sort on columns in Table view of DB browser. Paste Record to Mnova did not paste the items. Saving to unexisting record with specified id did not work. Table View was not showing Chinese characters correctly. New record not created when trying to save to a non-existing record of a DB. Visualize HMBC, ROESY and NOESY connectivities in the molecular structure. Treat Ac, Fm and Pr as labels instead of element names. Ability to delete atoms or bonds by selecting them and pressing Del key. 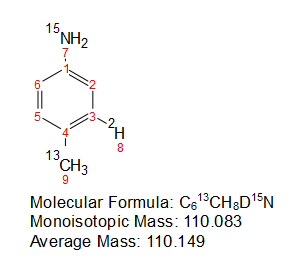 Calculate correct ‘Molecular Formula’, average and monoisotopic masses for compounds with aliases. Ability to draw bicyclic compounds connected through just one atom. Capability to cut a bond keeping all the atoms. Improved the behaviour of “draw chain”. Capability to calculate the ‘Molecular Mass’ of molecules containing isotopes. Capability to remove atom labels of individual atoms without getting a blank space. 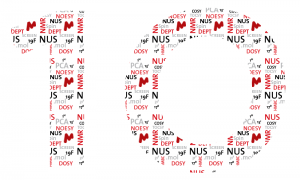 Visualize HMBC, ROESY and NOESY connectivity in the molecular structure. Capability to graphically visualize (from the assignments) HMBC, ROESY and NOESY connectivity in the structure by double arrows between the coupling groups. 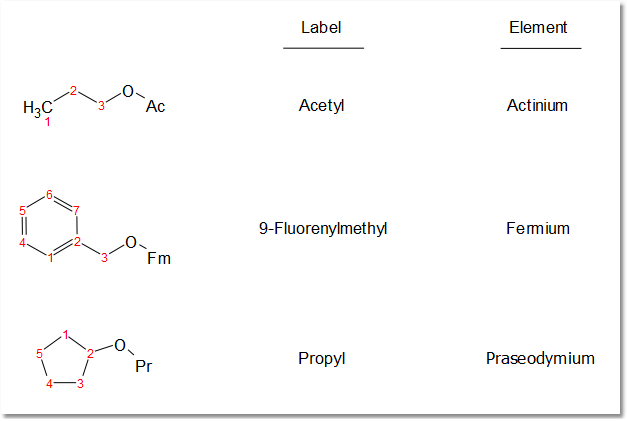 when importing the molecule, by enabling the “Expand labels on importing” option in Preferences/Molecule. 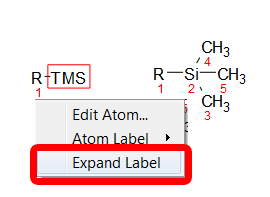 by clicking on the button “Expand Labels” in Molecule toolbar. by right-clicking on the label and selecting “Expand Label” in the context menu. Treat Ac, Fm and Pr as labels instead of element names. When entering any of these labels as expandable labels, they were recognized as the elements and not as the label. Ability to delete atoms or bonds by selecting them and pressing Del key. An atom, a bond or multiple atoms can be deleted by selecting them and pressing the Delete key. Ability to draw bicyclic compounds connected through just one atom. Spiro atoms can be drawn by adding cyclic templates while pressing ‘Shift key’.